As you kiss you early 20’s goodbye and begin to morphe into your late 20’s/early 30’s self, you start to do things a little differently when it comes to mealtime. Ordering pizza from your favorite hole in the wall for dinner every other night becomes a thing of the past (leave that for 2am on Friday when it is safer than firing up your stove). You might start to see yourself take an interest in being a little more domestic. In no way am I saying drop the pad thai and get your arse in the kitchen. You might hate cooking and have no interest in even owning a crockpot. If so, this post may not be for you. For others that may find themselves baking and creating, here is the first step in becoming that domestic goddess of your homes. It’s one little thing that will turn you into the queen (or king) of all dinner parties, the hostess with the most-est, and quite possibly the best roommate/partner on the planet. The secret? Keep your recipes. To get the ball rolling, shop for the perfect recipe keeper. The adorable options are endless! From cook books, to recipe cards, and scrap-booking your own (if arts and crafts is your jam) the sky is the limit. I chose to go with the card box. 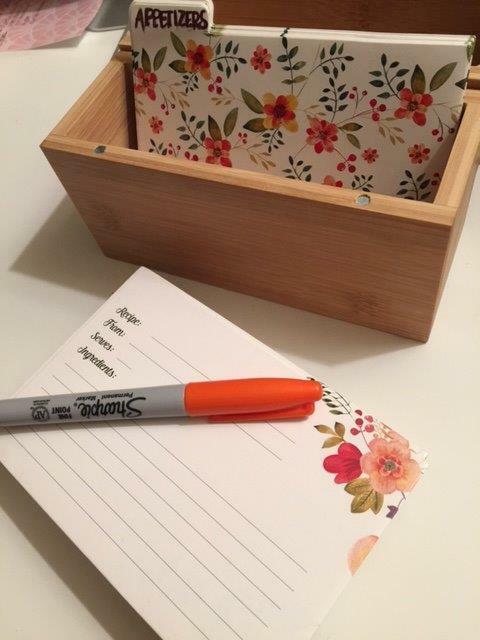 You can find different paper to use, pretty little vessels, and even different folders for the storage of these recipes. I simply ordered a little wooden box set with cards to accompany from good ol’ Amazon. 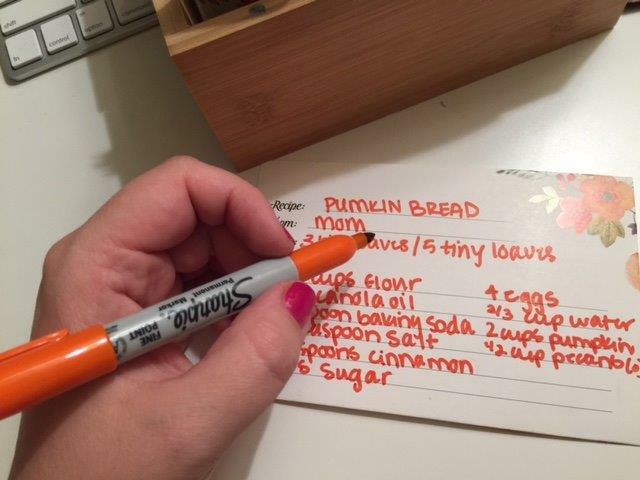 The key to a well organized recipe holder are tabbed cards. These will keep like-dishes together. I decided to label mine as follows, but caption yours however you like. Next, I started to record all of the recipes I make on a yearly basis. The go-tos that I probably know by heart, but still need in my little box, just in case. 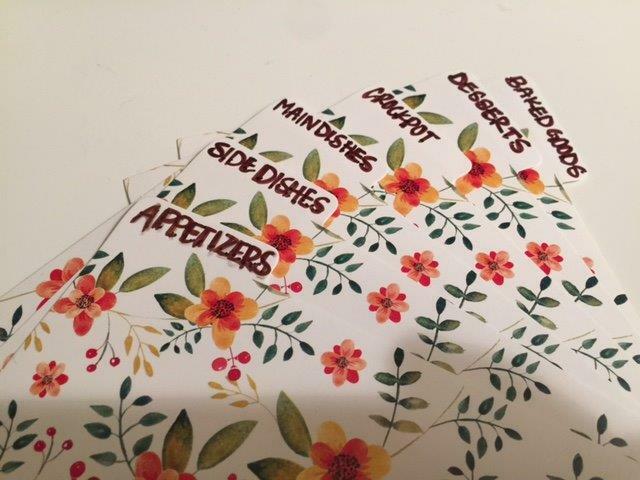 Looking to mix up my inventory of recipes, I gave some cards to family and friends so they could write down their favorites. This is an easy way to get Aunt Kathy’s secret spinach dip recipe. Plus, it is extremely special to have loved ones put pen to paper. It adds character to your box of most cherished meals. As you get older and become EVEN MORE domesticated, you will be able to continue adding to your recipes. Most cooking sites even have small print outs that will fit perfectly in your box or a recipe book. Time to press “print” on your favorite Pinterest board! Having something organized will help you find inspiration on those days when you just don’t know what to make for dinner. Plus it is a fun craft project that will allow you to reminisce on good times. Food brings people together, and those get-togethers around the table hold some of the best memories. Bon appetite!